St. Patrick's theme guessing going on! This is the last week to enter our GREEN estimation station giveaway! 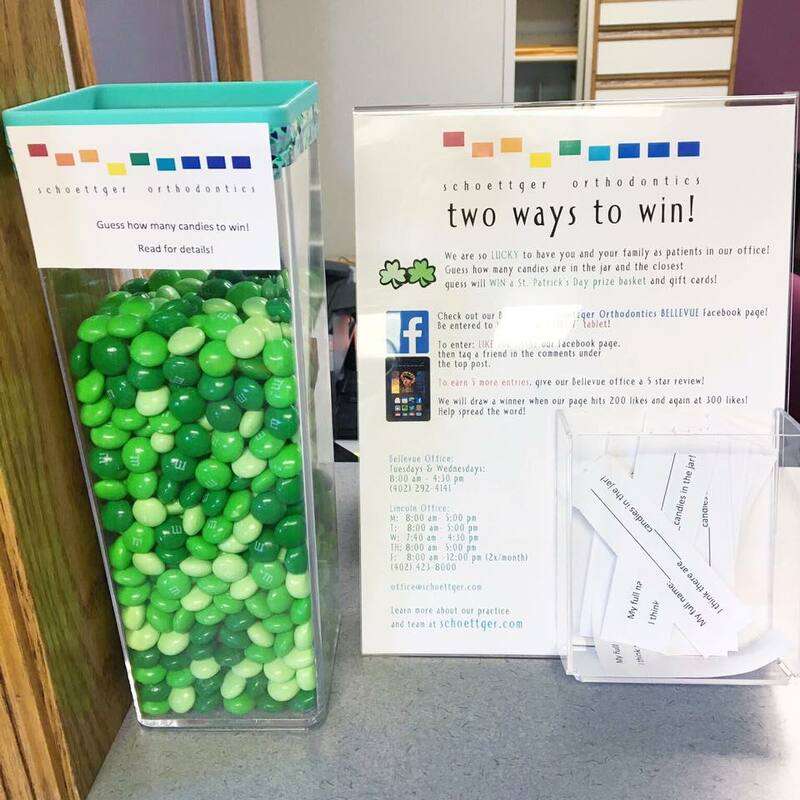 Guess how many mint m&m's are in our jar and the closest guess wins a prize basket including gift cards! Take a guess here and/or in the office! Good luck!